Come along to our fantastic “Rock Night” presented by Redland City Beginner Concert Band and Wind Ensemble. 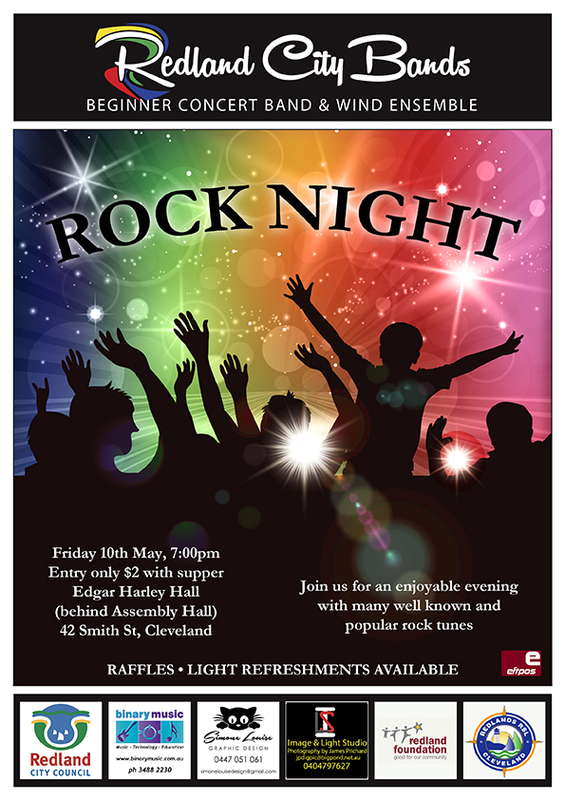 The concert starts at 7 pm in the Edgar Harley Hall (entry via Smith Street next to Cleveland High School) and is set to be a fun and enjoyable evening with many well known and popular rock tunes. Entry is only $2, supper is included and there will be great raffle prizes to be won. So please join us for a great night of entertainment and social atmosphere.